God calls us through the Word. There is no call without the Word of God. 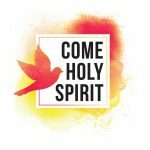 All Christians are called to be servants of the Word, and we all confess “the Holy Spirit has called me by the Gospel.” The call takes place when and where the Word is spoken – for wherever the Word is the Holy Spirit is at work. Young Samuel is called. Called means God has placed a claim on your life. God has summoned you to do God’s will through your life. This means the one who is called is no longer free to do what ever they want or choose. The one called is bound by the call. Samuel did not aspire to be called by God. The call was unexpected, and – at first – unrecognized; but God was patient and persistent. What qualifications does God look for when calling a person to a mission? Must they have an expansive knowledge of scripture, an understanding of Law and Gospel, and/or a certain amount of faith? What are the qualifications God uses to call a person for his purposes? Gracious Lord, your call is patient and persistent. Give us a quiet and untroubled heart that is ready to hear your call. Your call is personal. Thank for your care for each of us. For those asked to consider the position of bishop for the South Dakota Synod, give them peace and discernment as they listen for your call. We ask this through Jesus Christ, our Lord. Amen. How have you heard God’s call in your life? What would help you be more willing and able to hear God’s call?